Gain a long-lasting shine and squeaky cleanpaintwork with this complete kit. 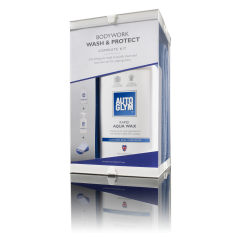 The rich foam Bodywork Shampoo instantlybreaks down and removes everyday contaminants from your vehicle while the RapidAqua Wax protects your paintwork whilst gaining a glossy shine. The carnaubabased wax can also be applied directly to your car straight after washing,saving much more time. 1. Wash the vehicle with Bodywork Shampoo and leavewet. 2. 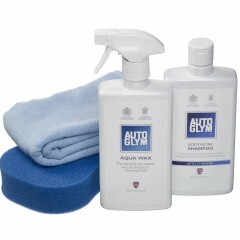 Shake well and apply Rapid Aqua Wax sparingly toall exterior surfaces excluding the windscreen. 2-3 sprays per panel issufficient. 3. Use a clean microfibre cloth to spread RapidAqua Wax until there is an even coating over all surfaces. 4. Buff to a shine with a second clean, drymicrofibre cloth. 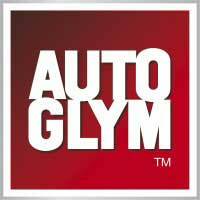 Q: Is Bodywork Shampoo wax and sealant safe? A: Yes, Bodywork Shampoo will not wash away orstrip wax or sealants. Q: Is Bodywork Shampoo PH Neutral? A: Yes, Bodywork Shampoo Conditioner is a PHneutral shampoo. 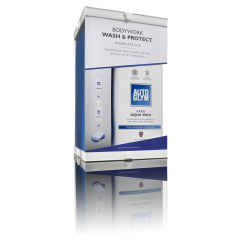 Q: Can I apply Bodywork Shampoo through a pressurewasher? 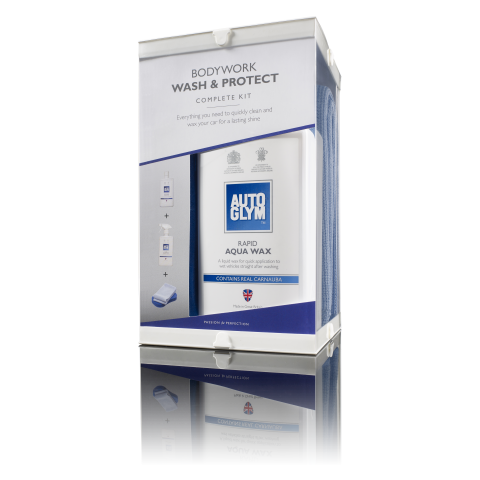 A: Bodywork Shampoo can be applied through apressure washer however you may like to use our bespoke product, AutoglymPressure Wash as an alternative as this has been specifically formulated foruse with pressure washers. Q: Should I use warm or cold water with BodyworkShampoo? A: You can use warm or cold water, whichever youprefer. Avoid very hot water as it can cause the shampoo to dry on the vehiclesurface. A: Wash the Rapid Aqua Wax microfibre towels in awashing machine on a low temperature using liquid, not powder, detergent and donot use fabric softener.